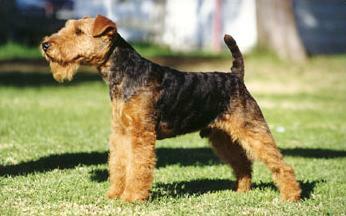 The Lakeland is a small terrier with an impish and assertive disposition. It is a "people" dog and thrives on plenty of human contact. 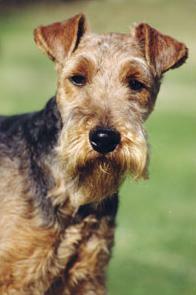 As the Lakeland Terrier does not molt they would make an excellent companion for those with respiratory problems. With their loud bark and fearless temperament they are a great deterrent to intruders. It is not a lap dog but a supremely athletic and lovable rascal who responds well to training and discipline.